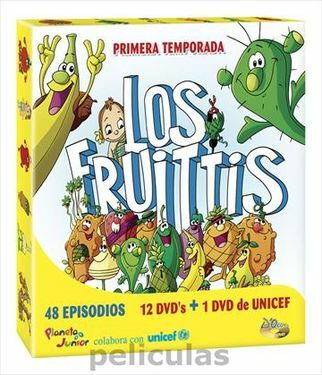 The Fruitties (Los Fruittis) was a popular Spanish cartoon series produced by D'Ocon Film Productions in 1989. It lasted 91 episodes. The Fruitties, a tribe of giant talking fruits and vegetables, live in an extinct volcano. One day, the volcano erupts, and they are forced to flee. They meet a human little girl, Kumba, who helps them on their journey. Along with Roly the hotheaded pineapple, Pak the smart banana and Thorny the cactus, they go on many adventures while avoiding threats such as a gang of evil warthogs who want to eat them. In 1991, the series was dubbed into many languages and broadcast internationally. It was thus dubbed into English and aired on Cartoon Network UK from 1994 to 2002. Although it proved popular in European countries and had an exceptionally large amount of episodes, it was never shown in the United States for unknown reasons. 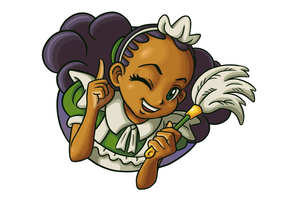 Consequently, the show has fallen into obscurity and remains generally unknown in North America. In the mid-1990s, the first 18 episodes of the show received VHS releases in the United Kingdom, several of which can be found on Amazon UK. Much of the show has also been released on DVD in Spain (with an optional English audio track), although the final 13 episodes have never been released anywhere. Additionally, the releases themselves are extraordinarily rare and hard to come by. At one point, over half the show was uploaded onto YouTube by user Simion Craciun. However, D'Ocon Film Productions has blocked most of the episodes on copyright grounds and only 7 episodes remain. Interestingly, the show's soundtrack is available on Amazon.com and iTunes. However, a release of the actual series has yet to be seen.